These fantastic and affordable DMX lighting cables have a 3-pin XLR plug to 3-pin XLR socket, and are available in a variety of lengths. Please make your selection from the drop down menu on the right hand side of this page. Good cables .... fit for purpose. Quick delivery and a great price. They seem to be a new genre of cable ... thinner than usual but sit nicely on the floor. 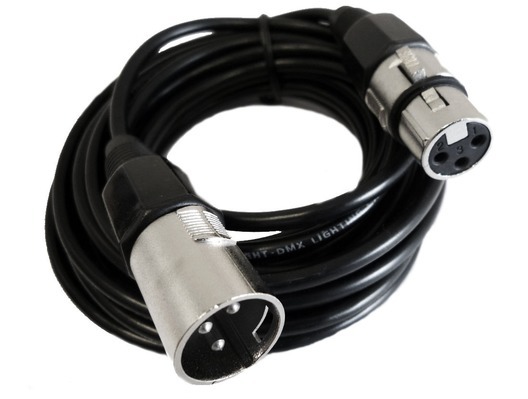 As most DMX cables are installed for almost permanent use these would be perfect for that purpose. Good quality connectors. The shorter 1.5m option might be a little too short depending on your set up, so make sure you select the correct length for your system when ordering!